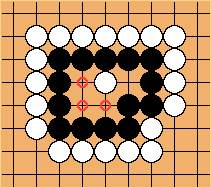 This page discusses all killable eyeshapes, including those where there is more than one White stone inside Black's eye space, but the position is not seki. 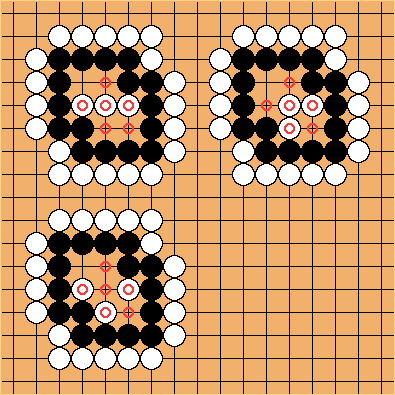 Positions with cutting points are not included. 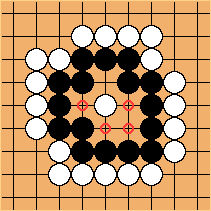 Side or corner positions are not included. 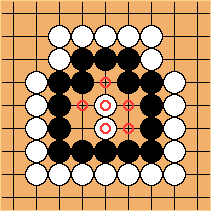 Red circles indicate how White can almost fill the black eye space. 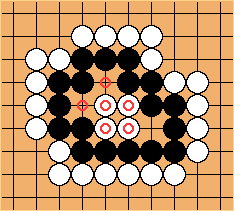 The effective number of internal liberties is included (big eyes). 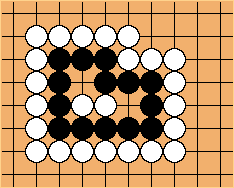 2 or more: ... Black's group is alive as it stands. 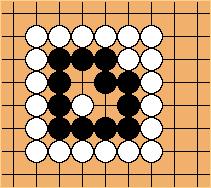 Other names: squared four, four in a box? 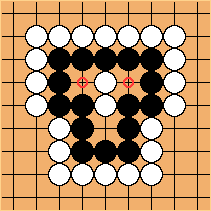 Shape #7.2: Three possible patterns for White. 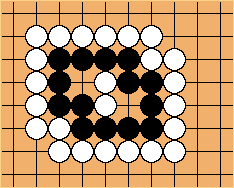 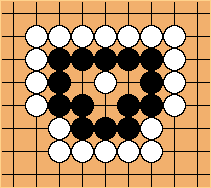 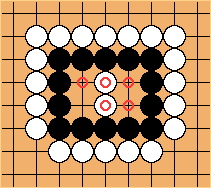 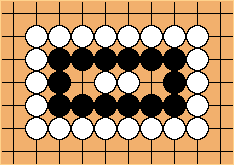 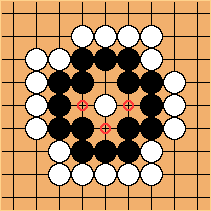 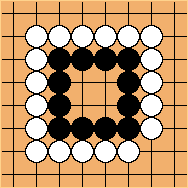 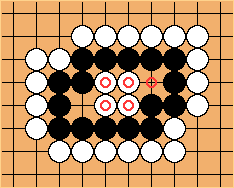 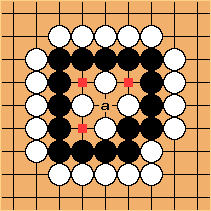 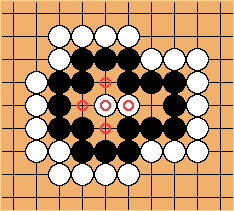 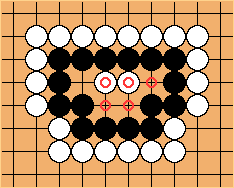 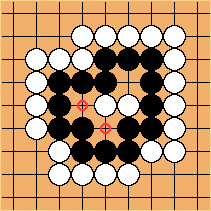 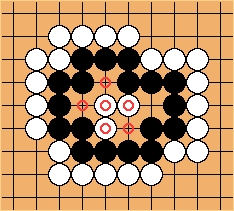 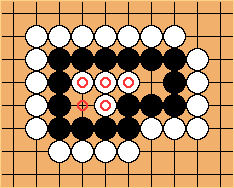 Adding a stone at any of the marked points, Black dies, as White connects at a. 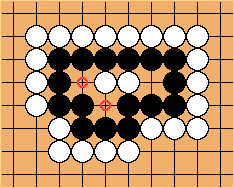 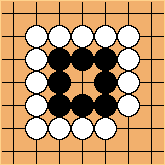 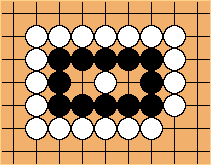 If White starts to actually remove the Black stones from the board, he should not play at a, because this will turn the position into seki.